Home » Diet » Health & Fitness » 3 Phase Liver Detox Diet Cleansing - How Does It Work? 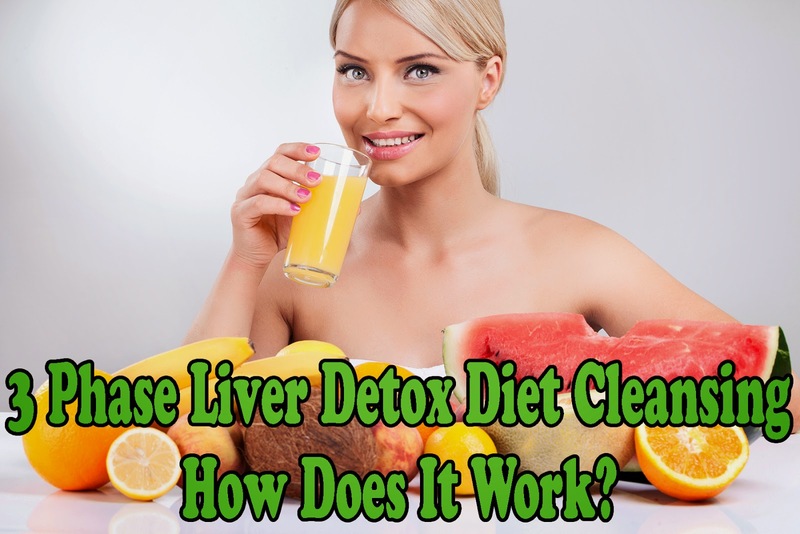 3 Phase Liver Detox Diet Cleansing - How Does It Work? You must have learnt in your biology classes about the importance of the liver. Your liver is the largest internal organ in your body and it performs well over 500 chemical functions. One of the most important functions of liver is it filters out the toxins and the chemicals that enter your body and stops them from going into your blood. Over time your liver becomes sluggish because of accumulated toxins. It is important to remove the toxic accumulation from the liver and this is why a liver detox is important. There are several ways of detoxifying the liver- one of the best ways is liver detox diet. Before starting with liver detox diet you will need to plan out everything carefully. Planning is important because you need to prepare your body for the diet. Preparing the body will give you maximum benefits of the liver detox program. Now the big question is how will you prepare? The first thing that you will need to do is stay away from caffeine, alcohol, junk food, decaf and meat. Before you start with the detox diet eat only vegetables and fruits for a week. Cut down on your sugar intake and increase the intake of water and whole wheat bread. Carry on with the detox diet in three phases over a period of one week. The first phase of the liver detox diet will span from the first to the third day. You will have to survive solely on liquid. Have 10-12 glasses of water with a dash of lemon juice daily. This will help in liver detox and will flush out the accumulated wastes. Stay away from other beverages and dairy products. This will relax your liver and the digestive system. You may experience a bit of tiredness- don't worry. It happens because all the wastes are being flushed out of your system. During this phase you can have rosemary tea if you want to. The second phase of the liver detox diet will continue for the next three days. You can include fruits, vegetables and semi solid food in your diet during this phase. Opt for vegetables and fruits that are organically grown. You need to continue drinking 12 glasses of water in this phase too. Fresh fruit juices are great for liver detox. So each morning prepare of orange, apple, celery or carrot juice. Every evening have a vegetable broth made with carrots, spinach potato and broccoli. In this phase too, you can continue having the rosemary tea.